FFA - Please urge the United States Department of Transportation Acting General Counsel to put public safety over political correctness in CAIR discrimination complaint against Southwest Airlines. Click here to send your email to encourage Molly J. Moran, Acting General Counsel for the United States Department of Transportation, to make public safety the priority in CAIR discrimination complaint against Southwest Airlines. Florida Family Association sent out an email alert on October 10, 2016 titled CAIR files complaint with US DOT against Southwest Airlines for removing passenger who allegedly made comments in Arabic that were perceived to be threatening. The email alert encouraged subscribers to send an email to thank Southwest Airline officials for putting public safety first. Florida Family Association also sent out an email alert on October 24, 2016 that encouraged people to send emails to Molly J. Moran on this issue. The United States Department of Transportation has not rendered a determination on CAIR's complaint. 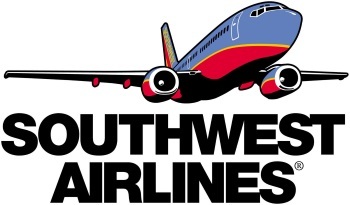 It is important to continue to encourage the top legal official with the United States Department of Transportation to put public safety over political correctness as the department evaluates the Council on American Islamic Relations discrimination complaint against Southwest Airlines. It is important to also encourage the top legal official with the United States Department of Transportation to put public safety over political correctness as the department evaluates the Council on American Islamic Relations discrimination complaint against Southwest Airlines. CAIR’s expectation that airlines should disregard Muslim characteristics during the process of exercising due diligence for passenger safety is irrational. Acquiescing to CAIR’s position could have dire consequences. SANTA CLARA, CA. - The San Francisco Bay Area chapter of the Council on American-Islamic Relations (CAIR-SFBA) today filed a complaint with U.S. Department of Transportation (DOT) Office of Aviation Enforcement and Proceedings against Southwest Airlines for racial and religious profiling of a Muslim passenger. In its complaint, CAIR-SFBA Civil Rights Coordinator Saba Maher stated: "We write to request a federal investigation on behalf of our client, Mr. Khairuldeen Makhzoomi, who was removed from a Southwest Airlines fight for speaking Arabic while sitting in a plane." On April 6, 2016, Khairuldeen Makhzoomi, a college student at the University of California, Berkeley, was removed from Southwest Airlines after another passenger overhead him speaking Arabic on the phone. Makhzoomi was taken off Flight 4620 from Los Angeles International Airport to Oakland International Airport after making a brief call to his uncle and concluding the call with a common Islamic phrase in Arabic, "inshallah," meaning "God willing." Shortly after making that call, an Arabic-speaking Southwest Airlines employee approached Mr. Makhzoomi and escorted him off the plane, asked him why he was speaking in Arabic considering today's "political climate." The Southwest Airlines employee then informed Makhzoomi that he would not be boarding the plane again. The Council on American Islamic Relations also issued a news released at the time of the incident on Aril 16, 2016 titled CAIR to Call for Bias Probe After Maryland Muslim Removed from Southwest Flight in Chicago. However, nothing resulted from CAIR's call for a probe. Florida Family Association reported the incident and encouraged people to thank Southwest Airlines in April as well as now. By BI: The mainstream media went ballistic after learning that an Iraqi student was removed from a flight after an alleged ‘Islamophobic’ woman reported him because she heard him speaking Arabic. Left wing pundits and Muslim advocacy groups demanded to know why “speaking Arabic” is a reason to remove someone from a plane and were calling for boycotts of Southwest Airlines. What the media conveniently left out is that the (see-something-say-something) woman is a native Arabic speaker and said he was talking about terror group ISIS. LawNewz The media were in a tizzy after Khairuldeen Makhzoomi, a 26-year-old student at the University of California, Berkeley, said he was kicked off a Southwest Airlines flight for speaking in Arabic during a phone conversation with his uncle prior to takeoff. Makhzoomi told the Post that he called his uncle, who lives in Baghdad, after boarding a Southwest Airlines flight in Los Angeles earlier this month. He says the two had a conversation in Arabic about an event Makhzoomi attended the night before. Makhzoomi says he received strange looks from a woman who then got up and he believes reported him to the flight crew. The next thing he knew, Makhzoomi says he was escorted off the plane and eventually taken into an interrogation room where he was questioned by the FBI before ultimately being released. Well, on Tuesday, on Happening Now on Fox News, guest host Heather Nauert provided some important additional details about the story that somehow did not make it into the Washington Post profile on Monday. According to the Happening Now report, the woman who allegedly reported Makhzoomi to the airline crew was actually an Arabic speaker herself. This woman reportedly said that she overheard Makhzoomi mention ISIS and possibly another terror group during his phone conversation and that is why she alerted the airline crew. Perhaps that explains why Makhzoomi has reportedly turned down offers from multiple lawyers to file a lawsuit against the airline. For the record, both lawyers who appeared in the legal segment on Happening Now where this report was discussed both agreed that under these circumstances, Makhzoomi likely does not have a valid claim against the airline. The Council on American-Islamic Relations has tallied at least six incidents of Muslims being removed from flights since the start of 2016 and has had more than 15 similar cases referred to the organization dating back to 2013. Airlines have uniformly denied that discrimination or bias factor into their decisions to remove passengers from planes, but federal restrictions on sensitive safety information prevents them from detailing the thought process or procedures leading up to the removals. Florida Family Association has prepared an email for you to send to encourage Molly J. Moran, Acting General Counsel for the United States Department of Transportation, to make public safety the priority in CAIR discrimination complaint against Southwest Airlines.